Israel and Hamas have agreed to a 12-hour pause in Gaza hostilities which started at 7 a.m. Israeli time (0400 GMT) on Saturday. The US, as part of talks in Egypt, is pushing for a seven-day truce starting Monday. The official, who spoke on condition of anonymity, commented on US Secretary of State John Kerry’s earlier statement which he made at a press conference in Cairo. Spokesman Sami Abu Zuhri confirmed that Hamas, along with all militant groups in Gaza, have agreed to the temporary ceasefire. He stressed that the move was put forward by the United Nations. Earlier, US Secretary of State John Kerry told a press conference in Cairo that Israeli Prime Minister Benjamin Netanyahu appears willing to resolve the escalating crisis between Gaza and Israel. "Prime Minister Netanyahu has indicated his willingness to do that as a good face down payment and to move forward," Kerry said and then added that "serious progress" had been made on a truce but there was more work to do, Reuters reports. According to a statement by US Secretary of State earlier on Friday, a deal was being sought for a seven-day humanitarian ceasefire between Israel and Hamas during the Muslim Eid al-Fitr holiday beginning next week. "We are working toward a brief seven days of peace. Seven days of a humanitarian ceasefire in honor of Eid in order to be able to bring people together to try to work to create a more durable, sustainable ceasefire for the long (term)," Kerry told a news conference in Cairo, which has served as host to contact between Hamas and Israel's government. The upcoming pause in the Gaza operation at least seems to indicate that progress has been made towards arriving at a longer humanitarian ceasefire. Kerry indicated that a draft truce proposal had not yet been produced. "We still have some terminology ... to work through, but we are confident that we have a fundamental framework that can and will ultimately work," Kerry said. Friday’s announcement was made during a news conference by Kerry, with Egypt’s Foreign Minister Sameh Shukri and UN Secretary-General Ban Ki-moon standing alongside him. 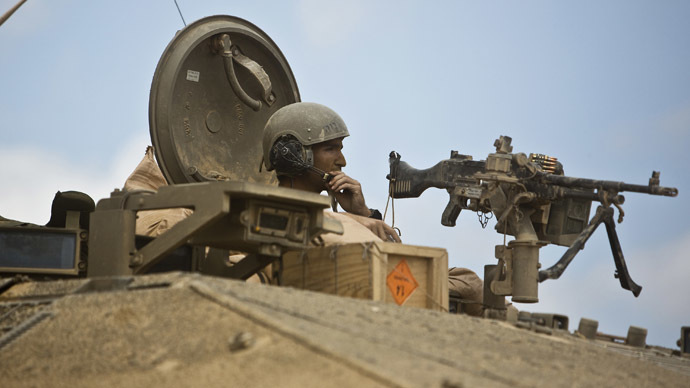 Yaalon was quoted by his office as telling troops deployed in the field that "you need to be ready for the possibility that very soon we will instruct the military to significantly broaden the ground operation in Gaza." The IDF posted on its Twitter account that despite the “humanitarian window in Gaza,” it will still continue to locate and neutralize terror tunnels. 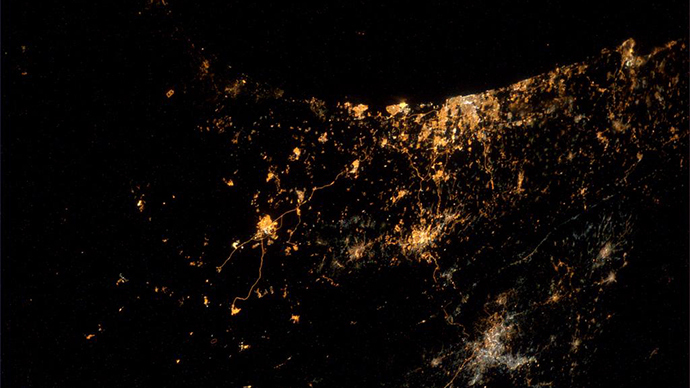 According to Israel of 31 Hamas military tunnels discovered so far half have been destroyed. The IDF maintains that such tunnels pose a strategic threat to Israel, and are used by Hamas to penetrate its territory. Even without further escalation, Israel has dealt a heavy hand upon Gaza, with more than 820 Palestinians reported dead and over 5,200 wounded as a result of bombardment and the use of ground forces. Some three-fourths of the dead and a majority of the wounded are civilians according to the UN. 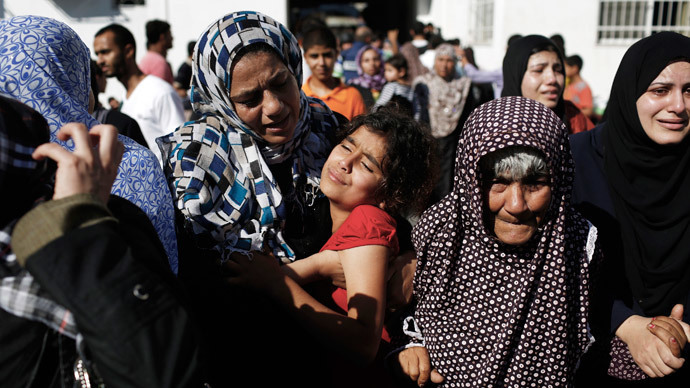 In Israel, meanwhile, 38 people have been killed so far since hostilities erupted on July 8. That number includes 35 soldiers, two Israeli civilians and a Thai worker, according to the AP. As the Gaza operation has dragged on, protests have been mounting around the world, both in support of Israel and to decry alleged human rights violations by the IDF in the Palestinian territories. In particular, the deaths of 16 Palestinians killed during an Israeli attack on an elementary school in Gaza under UN protection seemed to further exacerbate the situation. More than 100 were wounded during that attack, including women, children and infants. Thousands of Palestinians clashed with Israeli forces at a West Bank checkpoint in east Jerusalem on Thursday, marking the beginning of the largest protests in years in the West Bank. On Friday incidents were reported from the northern village of Hawara near Nablus to the southern village of Beit Omar, near Hebron. In Hawara hundreds of villagers demonstrated after Friday prayers. Four people were hurt during those protests, one of whom, a 19-year-old, died at Rafidiyeh Hospital in Nablus, according to Hawara’s mayor. Also in Hawara a 22-year-old was killed after Israeli troops opened fire on Palestinian demonstrators. According to a spokesman for Israeli police, Mickey Rosenfeld, border officers had opened fire to disperse the crowd, which were reportedly throwing firebombs at police. Protests in support of Gaza and its civilian Palestinian community have been taking place in cities around the world. Though largely peaceful, in France police have banned planned pro-Palestinian protests after prior demonstrations resulted in violence. On Wednesday thousands had gathered in Paris to express solidarity with Gazans, and were dispersed when police fired tear gas and arrested some 16 people. 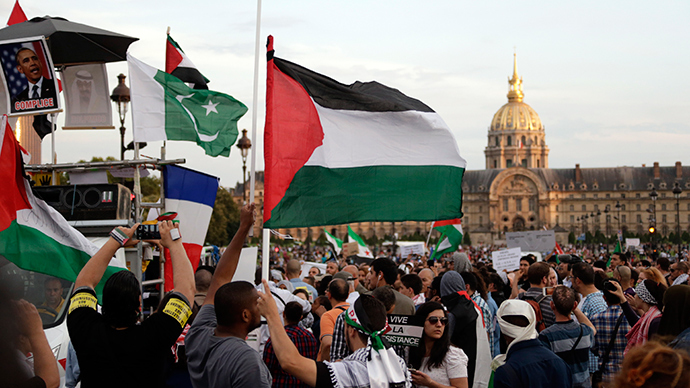 Organizers of the pro-Palestinian demonstrations have reportedly filed lawsuit against the ban.